Not for nothing, but my Flip has stolen most of my blogging thunder :) I sit down to write and am like-- I used to write about knitting, then spinning... but maybe weaving is too large a leap to make here? Still, the worry hasn't slowed me much and I have a grip of new scarves to show for it. Socks that Rock lightweight, "Fred Flintstone"
Also, it was neat to see how the yarns reacted differently under tension and not-- the warp on the loom looked like an entirely different yarn weight than the weft as I was weaving, and I could see the warp gain some of the bounce when I was finished and cut it off of the loom. Fulling the scarf gently to really make the yarn pop and puff seemed to work as well. 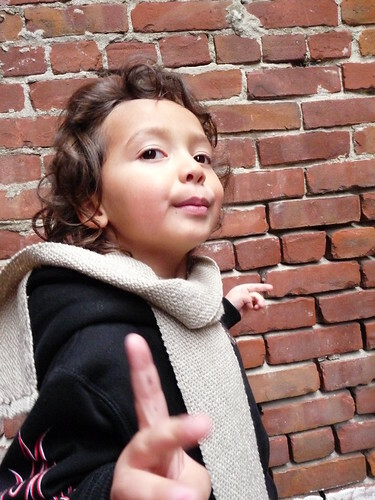 This is easily the softest scarf of all-- maybe not just for the cormo content? The fulling? 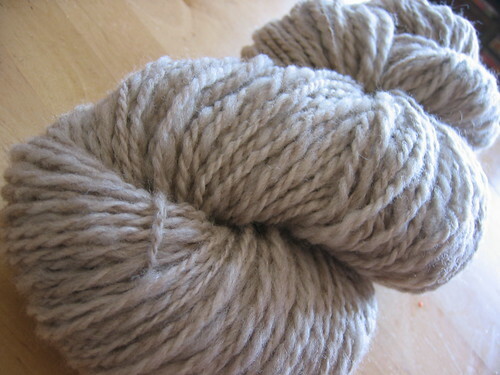 The heavier weight yarn? Dunno-- but I really like it. I found several batts of the same fiber I had carded up a while ago stashed in the back of my closet that I really wasn't interested in spinning, now I think I may spin up a few more heavy skeins of yarn for weaving. Oh, my odd stick shuttles? Thomas the Tank Engine train tracks. My shortest shuttle is 15", then 21" so no way was I using those at the same time :) I had planned on letting my son weave one and me the other at the same time... but honestly couldn't stop once I had them warped after his bedtime and had them done by the time he woke the next morning. The fabric on and off the loom is beautiful. But I don't really like the solidness of the color... I keep looking at the loom as the beallendall solution to "my! yarn! is! POOLING!" 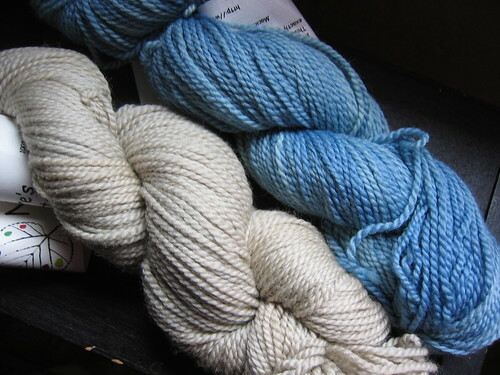 of multicolor yarns-- maybe I need to open up to the possibility that solids on the loom will be okay too. ...he has worn one once and said "no thanks, maybe tomorrow" every day since. Oh well. Mine now. Seriously though, these little-length scarves are cool for tucking into jackets where you don't want a bunch of bulk against your belly trying to keep your neck warm. Doubling up in two different colors is really pretty too, if I say so myself. 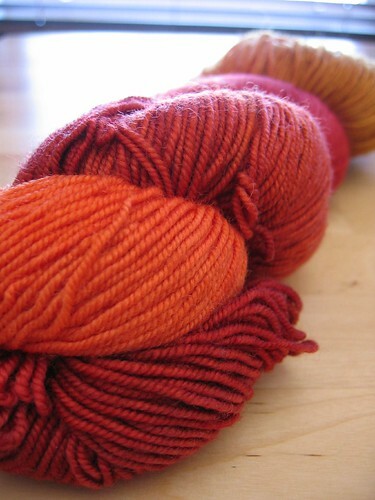 The Nature's Palette is also really great feeling woven up-- not a super tight twist but really soft. Well, there has been a little knitting (who forgot to tell me the holidays are coming and I needed to get cracking on my grandma's afghan?!) but it's just not as interesting as the fun I'm having weaving... so those pics and details will have to wait. Love the weaving! Beautiful scarves; I plan to use some of my sock yarn stash in the same way very soon! Lovely scarves. I especially like the yellow and red one, being an orange person myself. 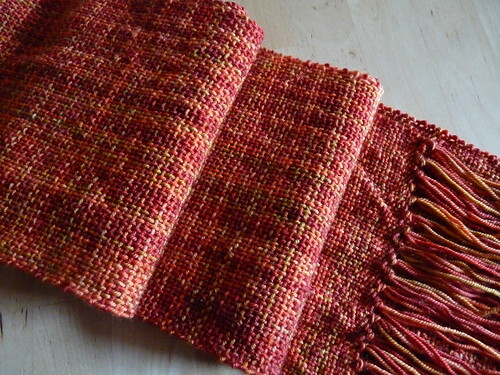 Love the weaving - what a great way to use up the variegated sock yarns! The textures are beautiful!! 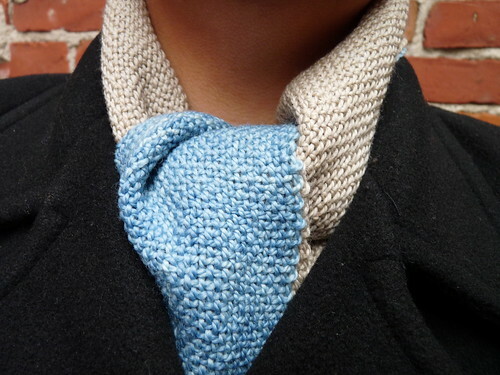 Oh I love the combination of the 2 scarves worn together. Very nice! I think you should totally post about the weaving. 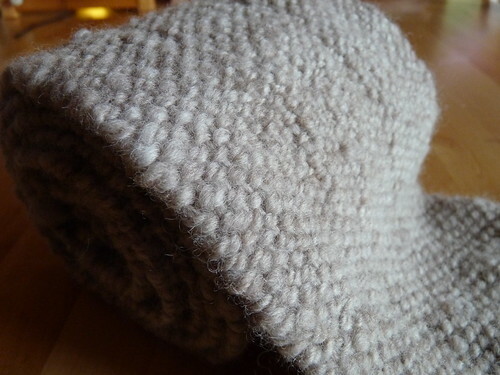 I find new fiber stuff fascinating and I think our blogs evolve as we do and find new interests in our "fiber lives". You are very talented. I find great peace while i weave. Your weaving looks great and so even. You are tempting me to buy a loom now. 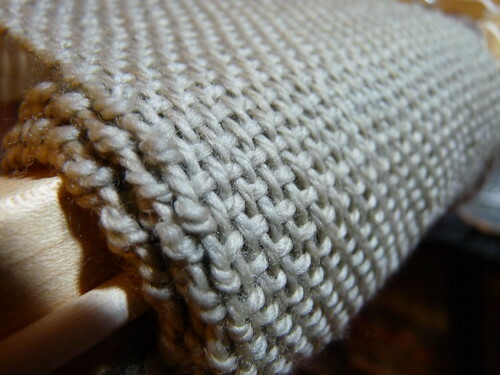 Keep blogging about weaving too, it's nice to see the different effects between knitting and weaving. I left you a message on the 9th saying 'you' were tempting me to weaving. Well it is now the 15th and consider me tempted. 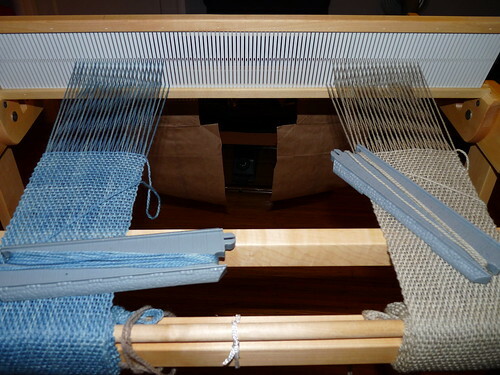 I have just ordered a 32" ashford rigid heddle loom with stand and it's all your fault...lol. It was your beautiful sock yarn scarf the orange and red one that was the last straw. I hope I can do such beautiful items one day.....keep tempting me.